KUALA LUMPUR, 8 Oct 2013 – Forensic science which also involves DNA analysis has helped to solve crime thereby assisting law enforcement officers strengthen their cases in court. Health Minister Datuk Seri Dr S.Subramaniam said more and more cases are now using forensic science to gather evidence. It is also vital for research. Opening the eleventh International Congress of the Indo-Pacific Association of Law, Medicine and Science (INPALMS) here today, he said forensic science has contributed a lot to the criminal justice system. IMPALMS was jointly organised by The National University of Malaysia (UKM) and Universiti Teknologi MARA (UiTM), as well as the Forensic Science Society of Malaysia and the National Institute of Forensic Medicine. The six day conference which ends this Friday (Oct 11) is attended by researchers and scientists from 40 countries. UKM’s Faculties of Medicine and Health Sciences presented papers in the conference. Also present was Deputy Vice-Chancellor (Industry and Community Partnership) Prof Dato’ Dr Saran Kaur Gill. 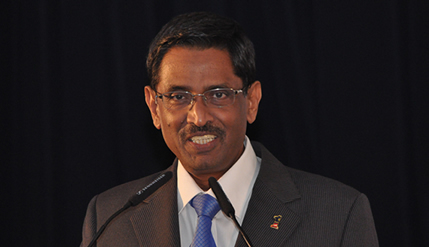 Dr Subramaniam said that apart from fighting crime, disputes over paternity had also been resolved by DNA analysis which, at one time was tedious and lengthy, can now be done faster and more accurately. He called on scientists to work with social services to help identify genetic diseases so that the proper treatment can be taken sooner. IPALMS was inaugurated in 1986 to provide a forum for interaction in Asia, Africa, Australasia and other nations of the Pacific.